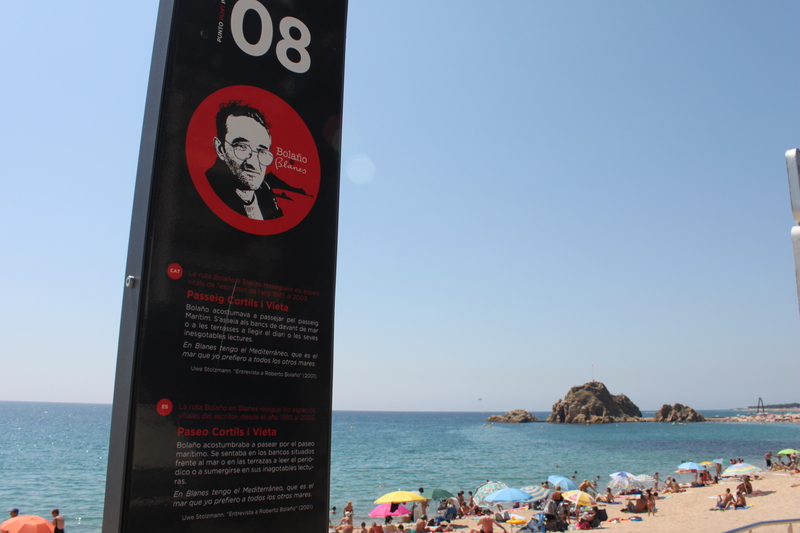 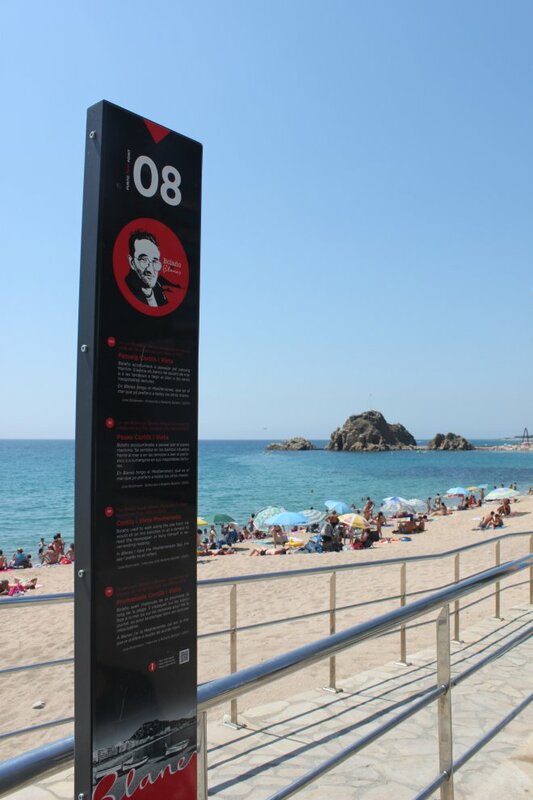 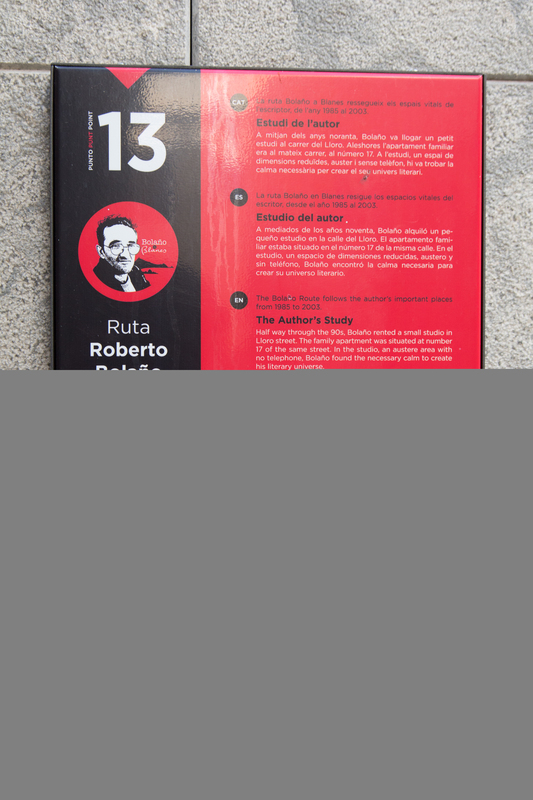 This thematic route covers the places where the Chilean poet and novelist Roberto Bolaño lived. He arrived in Blanes in 1985. He was living there until this death in 2003. 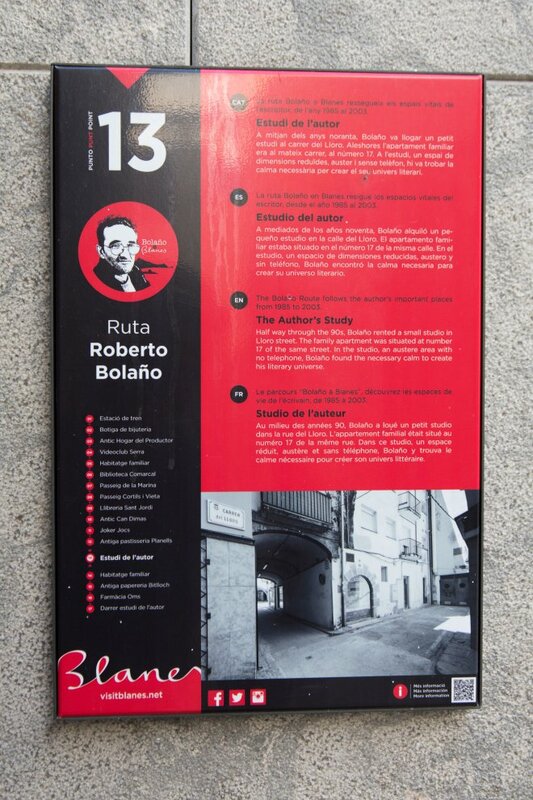 It is possible to find different texts written by the author in every area of the route, such as interviews, newspaper articles, novels… Moreover, there are many pictures in which the visitor can see urban landscapes in a experiential way. 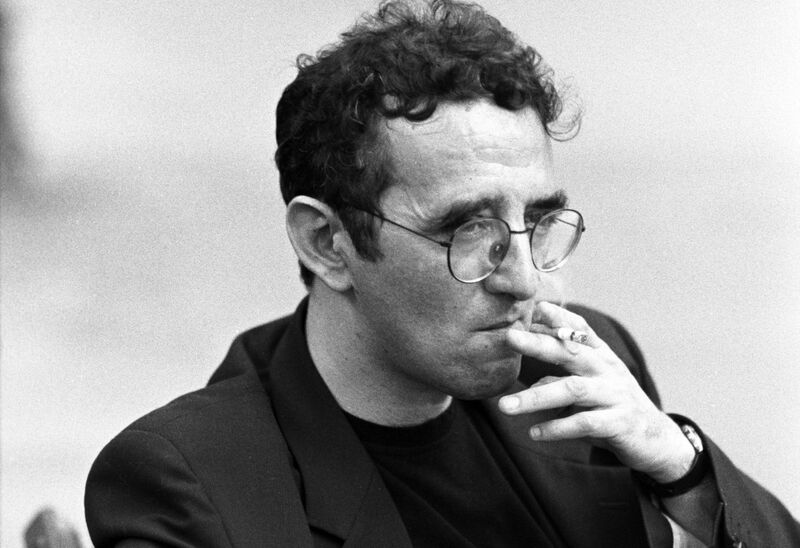 In addition, all of them show the changes undergone by some places over time A lot of references to Blanes are included in Bolaño’s work. 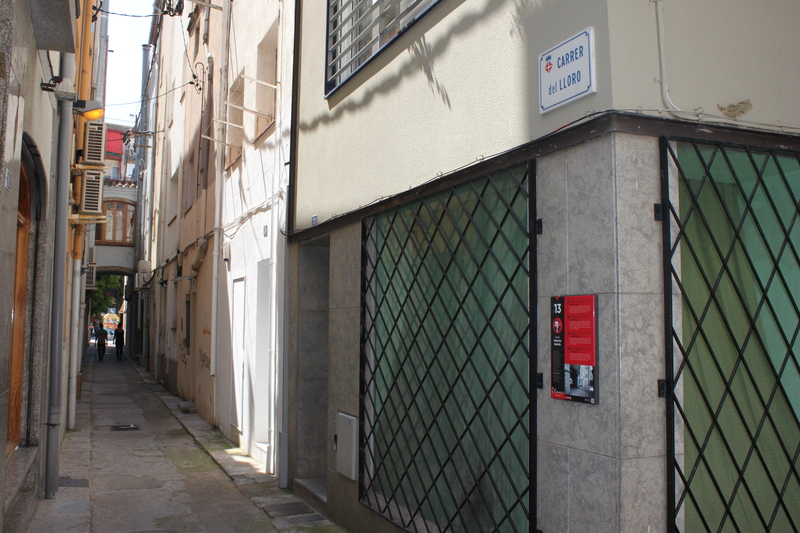 The writer has underlined the diverse, plural and tolerant nature of the city. This route, that starts in the train station, visits around twenty places connected with Bolaño, such as his house, his latest study on the Rambla Joaquim Ruyra, the pharmacy Oms, the stationery shop Bitlloch, can Dimas or the stationery shop Sant Jordi, among others.